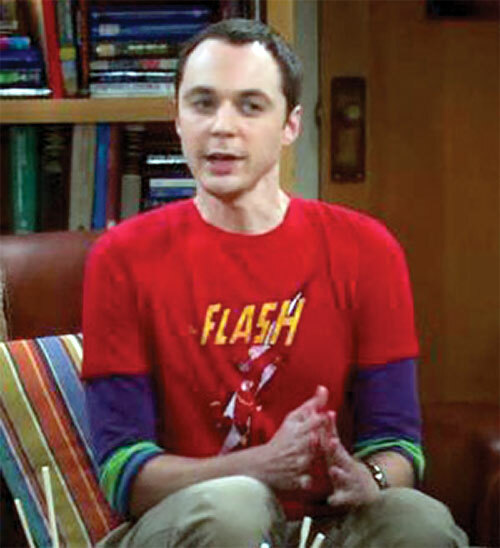 Real Name: Dr. Sheldon Lee Cooper MSc, PHD (x2). Other Aliases: Shelly, Dr. Dumbass, Sheldor the Conqueror, Moon Pie, Dr. Whackadoodle. Known Relatives: Missy Cooper (Twin Sister), Mary Cooper (Mother), “Memaw” (Maternal Grandmother), “Pop Pop” (grandfather, deceased), George Cooper (father, deceased), George Jr (brother), Carl (uncle, deceased), “Stumpy” Edward Cooper (uncle), unnamed nephew. Group Affiliation: Army Ants (His Physics Bowl team), The Physics Department Paintball Team, California Institute of Technology. Height: 6’0” Weight: 165 lbs. 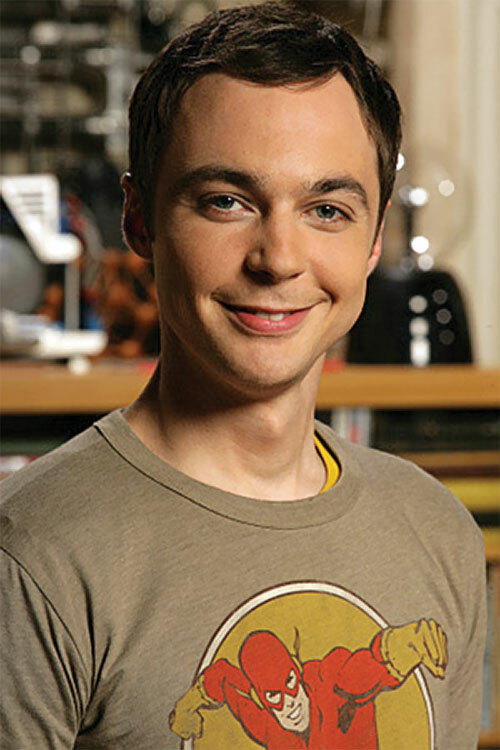 Sheldon is a prodigy with an extremely high IQ and is one of the most brilliant young minds in the world. He has a master’s degree, 2 doctorates and is a leading theoretical physicist studying string theory and quantum physics. In addition, he has considerable knowledge on just about any subject that anyone brings up. He was taught Chinese by Wolowitz within days, but either due to the teacher, the speed in which he learned, or perhaps even physical inability to replicate the tonal qualities necessary, he gets words wrong when speaking. Sheldon possesses a number of qualities often displayed in prodigies that are sometimes associated with autism or Asperger’s Syndrome ; such as social ineptitude, obsessive-compulsive personality disorder, and a nearly pure logical state resulting in a complete lack of empathy. 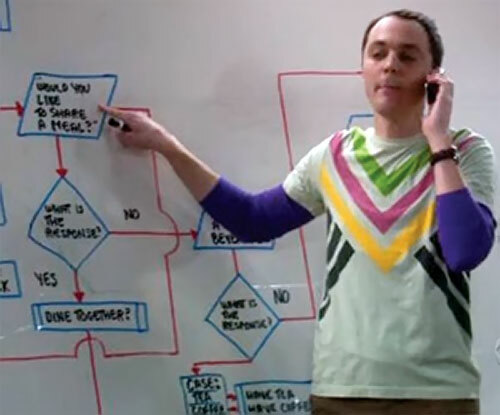 Whether or not it was the conscious intent of the writers for Sheldon to have one of these conditions is uncertain, but the cast of the show refer to these habits as “Sheldonisms” in interviews. This results in some unique forms of the typical Irrational Attraction(s) and Socially Inept drawbacks in DC Heroes terms. Sheldon over-intellectualizes everything and can not understand behavior that is irrational or emotional in any way. For example, he can not detect sarcasm (though he has learned to employ it on occasion). He often interprets slang or social phrases in the most literal way possible (though once he’s familiar with the fact that a given phrase is a colloquialism, he will use it as such). He will also take any act of duplicity to extremes to make it convincing and utterly plausible. When using rational discourse, he is very persuasive, well versed and even at times eloquent. However, in any situation that requires that he use empathy, tact, understand emotions or oppose his own obsessions, he is at a loss. He often has difficulty understanding the actions of others or consoling them when they are upset. This may well be why he so readily identifies with the character Spock on Star Trek. In game terms, this is when his Socially Inept penalties should apply, and in his case could also be used at GMs discretion for perception checks when he tries to understand an emotional state. He has a number of specific compulsions that could be considered to be Minor Irrational Attractions on their own, but in this case are part of his general behavior pattern. As mentioned, he seems quite obsessive, especially with cleanliness and his health. He washes his hands as often as possible and even broke into Penny’s apartment in the middle of the night to clean it when they first met. He likes having his brain scanned and if allowed access to a doctor, will constantly have himself checked for every minor possibility of illness. When he is legitimately ill, he becomes even more demanding than usual and requires care to the point of babying. He maintains a tight routine, this includes scheduling what time he has meals, goes to the bathroom and sleeps, as well as particular routes taken to his destinations (though these routes are maintained by nagging whomever drives him) and not going to movie theatres without the proper sound systems, seating and an Icee machine. His meals and social activities often correspond to specific days, Thai food on Monday, Big Boy (or Cheesecake Factory) Burgers on Tuesday and eating at Soup Plantation or pizza on Thursday, and Chang’s Chinese food on Friday. Even what video games he plays and other social events are subject to scheduling, Tuesday the gang plays Klingon Boggle , Wednesday is Halo Night and new comic book day, while vintage video games are played on Friday. While he can bring himself to break with this routine, it often takes a great deal of discussion and consideration to do so. If done as a favor, Sheldon will be sure to work an extra trip to the Comic Book store into the equation, if at all possible. He compulsively identifies the best spot in any room in which to sit (often specific to a particular task) for optimal conditions. For example, for social interactions and meals his “spot” is the left end of the couch in their living room (see quotes). He often chides Penny for sitting in his spot. In a movie theatre he will walk around the room making odd noises until he finds the perfect acoustic center. While we all dislike being interrupted, for Sheldon it is an ordeal. He often gives information about varying subjects he encounters. If he is interrupted during one of these veritable monologues, he will compulsively purse his lips and potentially even twitch until he can finish sharing the thought. Sheldon also abhors change. Anything can become an ordeal for him from neighbors whom he didn’t even know moving, to a change of waitresses at his favorite restaurant. He will check personal details about any new people in his life often asking what others would consider embarrassingly personal questions to insure that they are acceptable. He also can’t go to a place he’s never been before unless escorted by someone else. 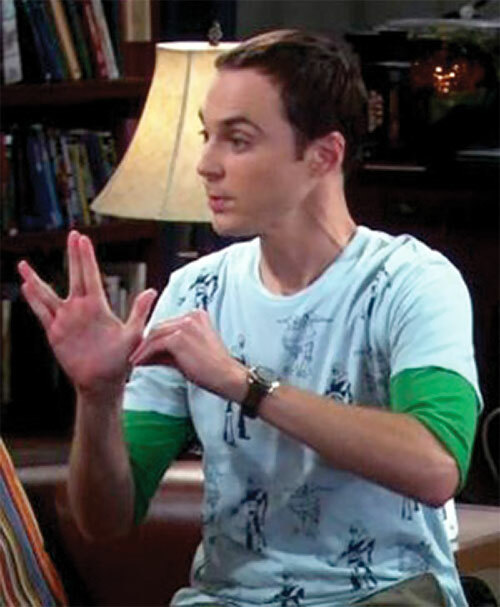 Some of the history is presumed based on quotes lacking detail mentioned in the show and Sheldon’s natural disposition. Sheldon was an awkward child who had difficulty socially. Sheldon realized he was intellectually superior by the age of 4 and took to calling himself “homo Novus,” considering himself a leap in evolution. He often received beatings from the neighbor kids for pointing this fact out. He likely was both defended and bullied by Missy, as she was more sociable and a lot tougher than Sheldon. Sheldon developed a love for comic books early in life (as one might expect). He read Justice League comics and was even an honorary member by the age of 5 (he carries the card signed by Batman to this day). He identified with the heroes perhaps in part due to the bullying he received at the hands of the other children, or perhaps because he saw the heroes as set apart by their powers as he was by his intelligence. As a result of these events and his natural inclinations, Sheldon began conducting a number of experiments. Throughout his childhood, he worked on a sonic “Death Ray” with which he intended to avenge himself on the neighbor kids (or at least stop the frequent beatings). While he never got enough power out of the sonic device to actually harm or stun people, it did drive dogs crazy. Either due to slight hypochondria , the need for attention or acknowledgement of his unusual brain, Sheldon often had his brain scanned as a child, which he loved. Eventually, his mother put a stop to it, probably due to the costs. This wouldn’t stop Sheldon who simply built his own CAT scanner to scan his own brain. While Sheldon finished the fifth grade by the age of 11 and shortly thereafter skipped into college, he continued experiments that were inspired by typical sibling rivalry and natural curiosity that usually had negative results for his family. For example, at one point his sister wouldn’t stay out of his room. So he converted her Easy Bake oven into a “high powered furnace” to build the ceramics and circuitry for an armed robot to keep her at bay. Missy accidentally burned off her own eyebrows the next time she tried to use the oven. He also conducted an experiment to determine how stair height affected those who used them. This resulted in his father tripping and breaking his clavicle with as little as a 2 millimeter variance. By the age of 12, Sheldon decided to give his town free energy. He asked for a titanium centrifuge for Christmas, to separate radioactive isotopes and began construction of a small nuclear reactor in the family shed. Once he was 13 it was nearly complete, however the experiment was cut short when he tried to acquire the necessary uranium online. A man from the government came to the house and explained that it was illegal to keep fission grade uranium in the shed. 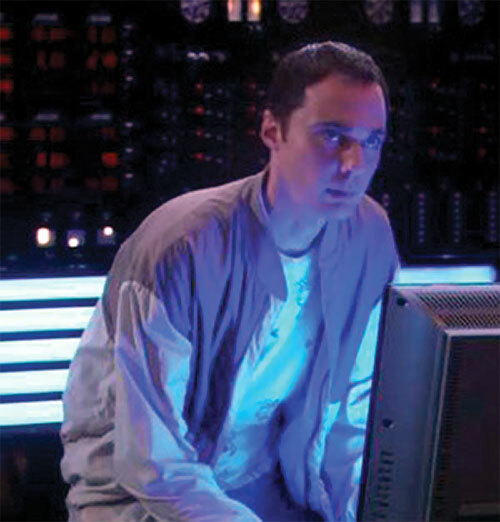 Shortly after this, Sheldon began to experiment with lasers, resulting in another visit from the government. 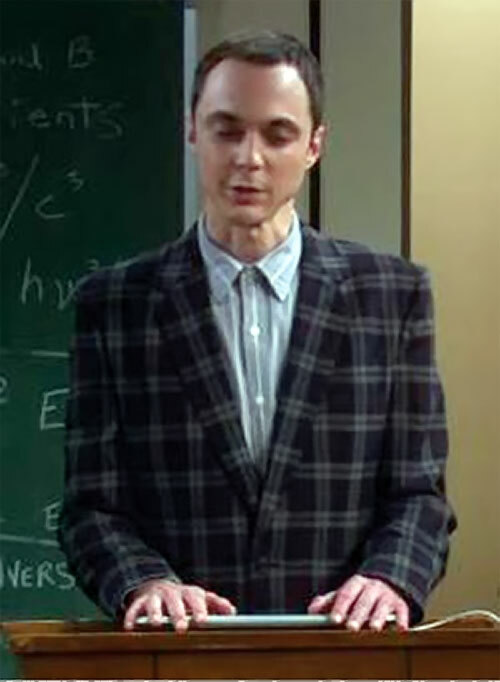 This time, they took the laser away from Sheldon and had to “hush” the college professor who had seen the experiment. 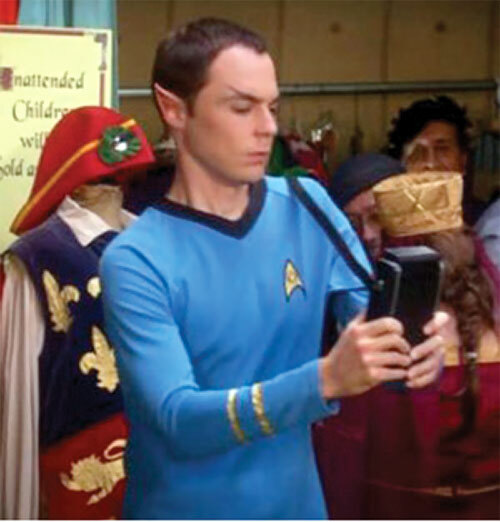 As a result, Sheldon was sent to “boarding school” for graduate school. 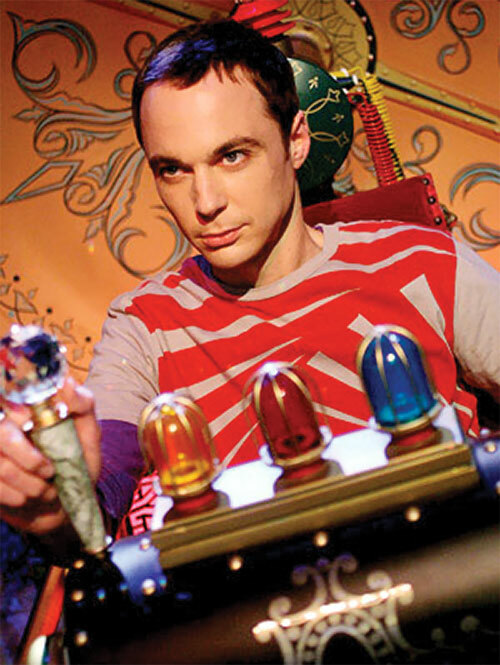 While it’s unclear as to whether this is the correct time-frame, Sheldon has mentioned that he was once “refused clearance for a very prestigious government research fellowship at a secret military supercollider located beneath a fake agricultural station 12.5 miles southeast of Travers City, Michigan” due to his inability to keep secrets. He became the youngest person ever to win the Stevenson Award by 14½ and was traveling to Europe (specifically Germany but possibly other countries as well) as a guest lecturer/professor by the age of 15. He received his first doctorate at 16. He then spent another 4 years writing a dissertation for his second doctorate. 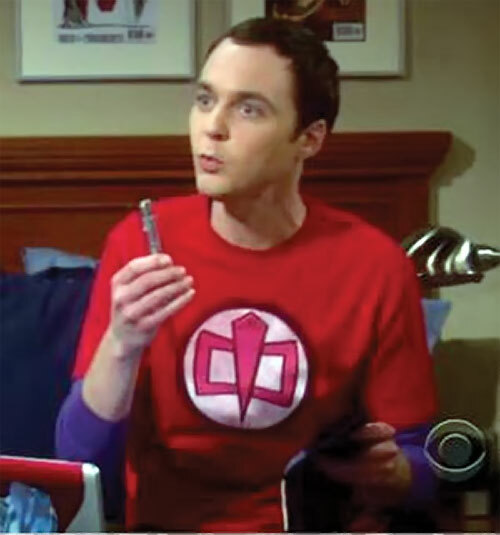 When he came to work for the California Institute of Technology , Sheldon put an ad in the paper for a roommate who didn’t whistle. Dr. Leonard Hofstadter, another young physicist, answered the ad. 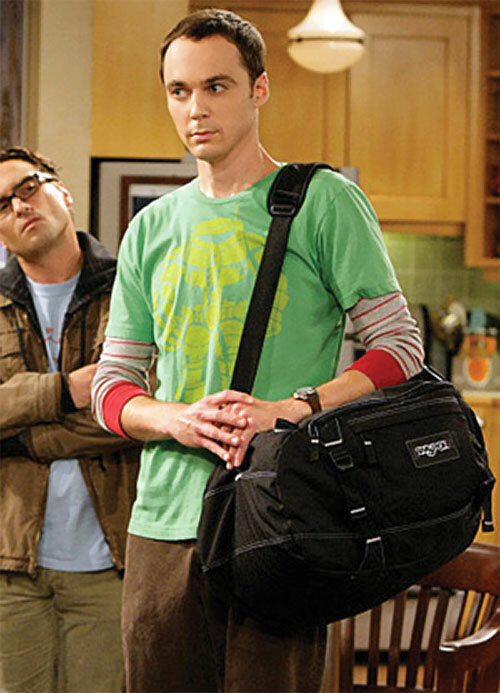 Leonard has proven to be one of the only people who can put up with Sheldon’s idiosyncrasies enough to live with him. 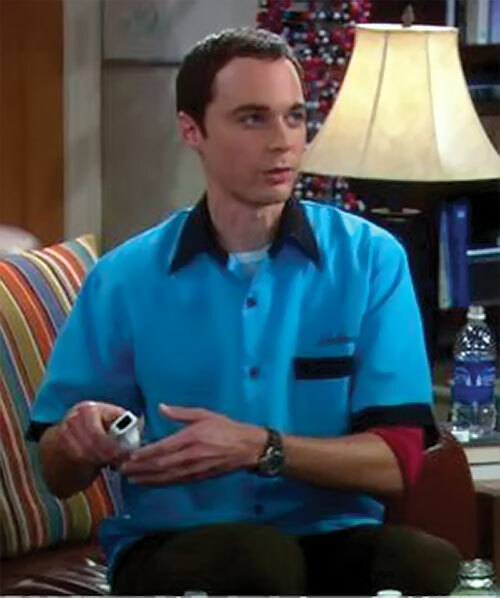 Leonard provided a conduit through which Sheldon has learned much about social interaction and has become Sheldon’s best friend. It’s due to Leonard that Sheldon now has his other friends, Howard Wolowitz, Dr. Rajesh Koothrappali and, eventually, Penny. 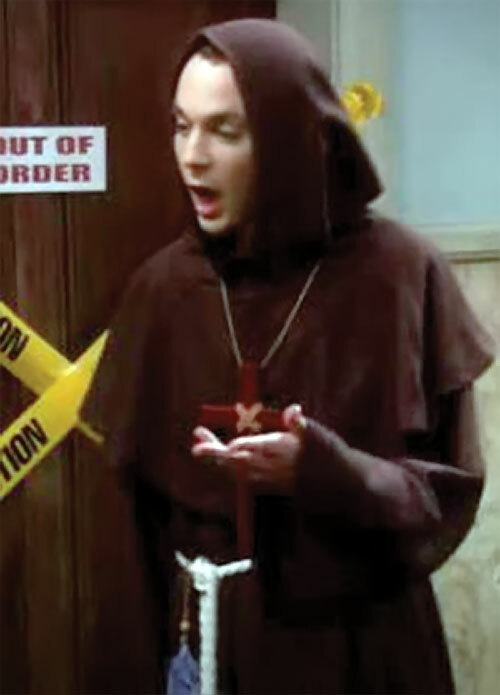 At first, Leonard’s social habits repulsed Sheldon to the point where he took a trip to the Alaskan arctic when Leonard had a girl over, but over time Sheldon has learned much about human interaction both through his experience with Leonard as well as observing Leonard’s relationships (and lack thereof). 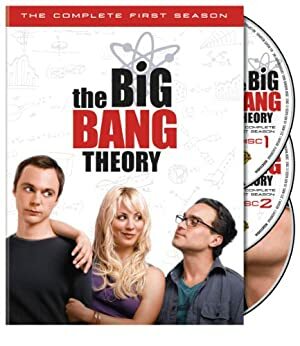 Sheldon has now been working as a theoretical physicist for about 5 years [note the show takes place over the course of 2 years through its 2 seasons] and is on the verge of research that could potentially prove string theory. Within the last year, he switched disciplines from bosonic string theory to heterotic string theory and reconciled the black hole information paradox using a string network condensate approach. 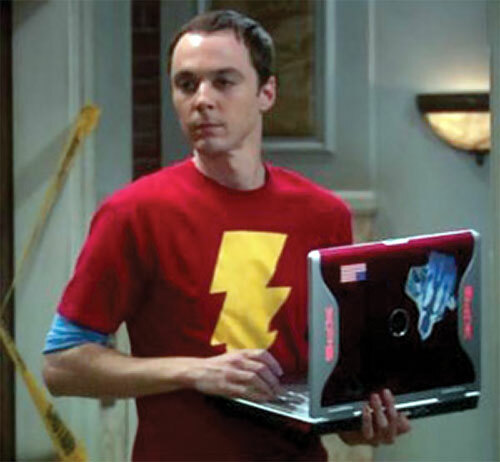 Like Leonard, Sheldon keeps a whiteboard in the living room for scientific theories and equations, most of which feature complex higher mathematics, such as virtual particles in quantum mechanics, or a series of Riemann zeta functions that has aided his work. He most recently was asked to lead an expedition to the North Pole to conduct his own experiments which, if successful, will prove string theory. Dr. Sheldon Cooper is a tall, gangly man with somewhat stilted mannerisms. He is highly intellectual and this is apparent in his gestures and habits. His lanky limbs, lack of grace, and lean frame often lead his friends to comment on resemblance to a praying mantis or the droid C-3P0 (which Sheldon perceives as flattery). Sheldon has a greater intellectual mind than just about anyone else in the world and he knows it. He considers even Isaac Newton a simpleton in comparison. This often leads him to criticize others’ work, including Leonard’s. Often this stems from a genuine interest in being helpful but instead just annoys those he’s trying to help. While Sheldon doesn’t truly understand why anyone would refuse his help, he usually will leave well enough alone unless some crisis in his own life (or research) prompts him to seek out ways of contributing to the world. Ironically (and played for humor), Sheldon is so sure of his own intelligence and is so often correct, that he sometimes misses his own mistakes which would be obvious to others. His arrogance drives him to proclaim the results before they’ve been verified. Sheldon follows a more intellectual form of morality than a social one, but will bend to social conventions if he is aware of such. 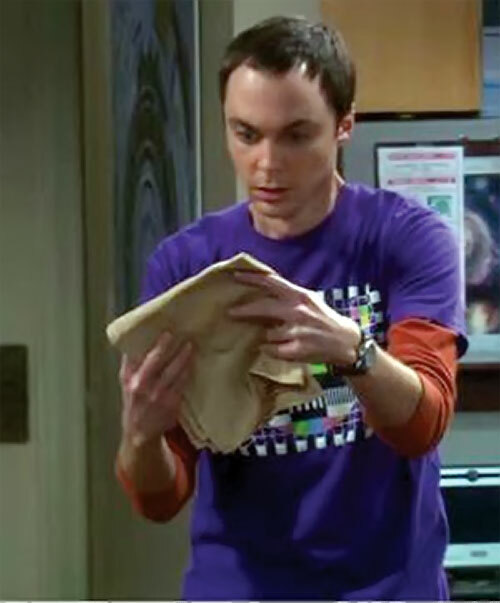 For example, without concern for her privacy, Sheldon broke into Penny’s apartment in the middle of the night to “organize” her apartment for her (since he couldn’t stand for such a mess to be just across the hall from his apartment) and couldn’t understand why she was upset rather than thankful. On another occasion, when Penny mentioned that she’d be bringing over a Christmas present for Sheldon, he became extremely stressed about buying her a present of roughly equal value since this was his understanding of the accepted social norm. His smugness, lack of empathy and eccentricities often put him at odds with his friends, especially Penny. While most of the others will go along with him (if only to shut him up and to save themselves an intellectual debate); Penny will go toe to toe with him. If she can’t make sense of something he’s saying, she will respond with nonsense purely to drive Sheldon crazy. Despite their frequent clashes, a genuine affection has developed between the two resulting in a strong friendship that seems similar to the relationship Sheldon has with his family. Penny has even been known to take care of Sheldon when he’s sick and Sheldon has even hugged Penny once. Overall, Sheldon has both a childlike and childish demeanor. He can be very demanding to get his way, but will usually respond when someone whom he cares about puts their foot down with him. He’s very curious about the world around him and is always trying to figure out why things work the way they do. Despite his snide comments, self centered nature and lack of emotions, he seems to genuinely care about his friends, particularly Leonard and Penny (whom he believes will never actually make it as a couple). He also genuinely wants to contribute to the world with his research. 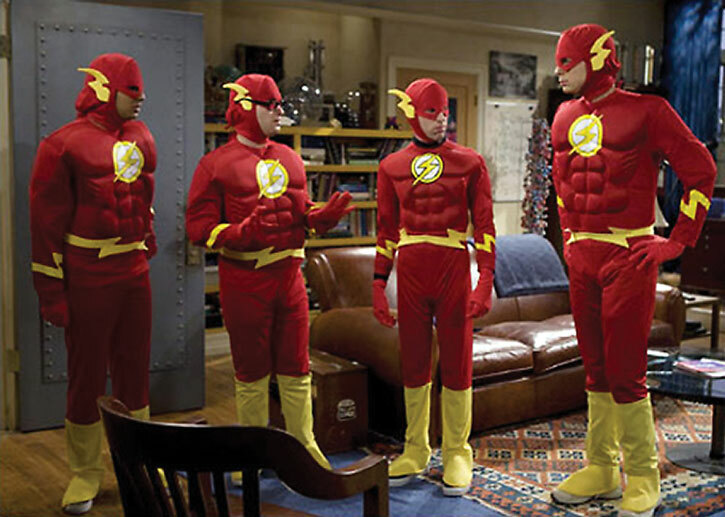 The Big Bang Theory cast could be dropped into the DCU as is. They could easily be research scientists at any of the StarLabs. They’d love a chance to examine any superhero to try to figure out what fuels their super powers and hopefully replicate the results in themselves. Leonard and Sheldon even have a clause in their roommates’ agreement that if one should acquire super powers the other will be their sidekick. 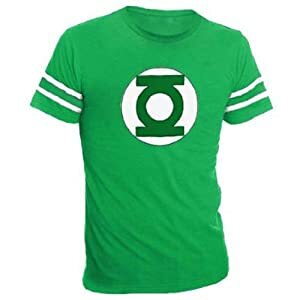 Since Sheldon has been an honorary member of the Justice League since he was 5 (he still carries his membership card in his wallet), in the DC Universe that could carry over. Perhaps he was saved once as a child and became even more obsessed with the JLA seeking to support and perhaps even be a sidekick! Due to Sheldon’s seeming lack of interest in women (or men or any other sexual relations), the guys have thought that perhaps Sheldon really was a new life form that would one day reproduce through mitosis after eating too much Thai food (Split: 01, Split does not lose APs of Attributes or skills and also has Split 01, Sheldon must consume his weight in Thai food to activate Split). Leonard even had a nightmare about this happening. 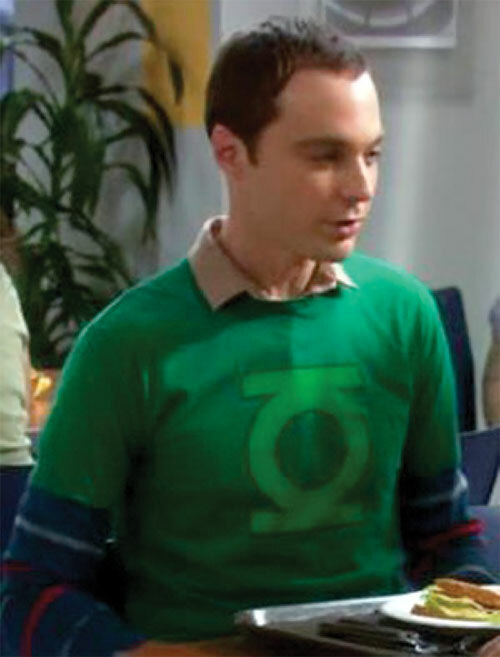 The guys often joke that Sheldon “is a nuclear accident away from being a super-villain.” Since he believes himself superior to others, it’s easy to believe the idea that a Sheldon with super-powers might become a villain until shown the error of his ways (probably only Leonard would be able to talk him out of his plans of doing something horrendous for the world’s own good). Sheldon occasionally tries to attack people directly with his mind. Perhaps he has mutant powers beyond his intelligence that have yet to manifest. One day his attempts could work. On one occasion, Howard and Rajesh were teasing Sheldon that he might really be a robot. They even challenged him to think of a time he had violated any of Asimov’s rules of robotics. 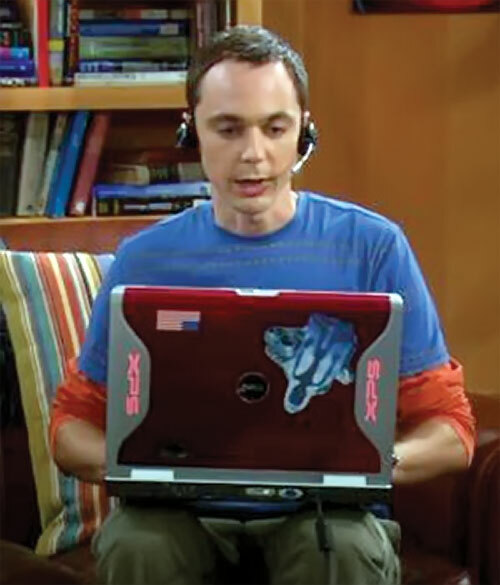 Perhaps Sheldon is actually a sophisticated android. Credentials (University Physics Department/Lab, Medium), Expertise (Morse Code), Familiarity (Mandarin Chinese, Arctic Survival, Finnish, Spanish, Weaving), Headquarters (The Apartment, Confined), Languages (Klingon, Latin), Local Hero (Young Female Physicists who have read his published work), Omni-Scholar, Scholar (Physics, Comic Books, American Football, Trains). Scientific Community (Low), Caltech Applied Physics Department (Medium), Government (Low). Partial Attack Vulnerability (-1 CS RV, Drugs/Alcohol), MIA towards Being Smarter than everyone else, MIA towards “Sheldonisms” (see below), Socially Inept (see “Sheldonisms” below), MIA towards Comic Books, MIA towards Trains, MIF of Heights that makes him pass out, MPR (Allergic to bees and cats; has asthma), Rival (Leslie Winkle and shortly Dennis Kim), SIA towards Spock, Enemy (Wil Wheaton), Misc Drawback: Sheldon Cooper has through his antics managed to get restraining orders from people he idolizes, including Leonard Nimoy, Carl Sagan and Stan Lee. Dell XPS Computer [INT 04, BODY 02, Data Storage: 16, Split: 03 (Split limited to mental tasks only) R#3] Sheldon’s computer not only has his papers and future publications on it, but also a number of video games including Age of Conan. He also frequents a number of internet social sites such as MySpace. He may also have Halo installed, though we’ve only seem him play that on his X-Box. I did not include Mathematics as a scholar since Leslie Winkle corrected some of the math on his board at a glance. With his high mental stats, he’s naturally good at math. The scholar would allow slightly inferior minds (like Lesley) to be able to outmatch him on that one topic. Judging from his family, who hunts, it’s possible that Sheldon’s Weaponry would include hunting rifles but it is not included since this is pure speculation. Source of Character: As portrayed in The Big Bang Theory by Jim Parson. Helper(s): Wikipedia, Dr. Peter Piispanen, Ethan Roe, Doug, Scott Gillilan.